‘Bus Advertisement’ Campaign Launch In Maharashtra! We, at ChangeBhai understand the importance of reaching the citizens when they are ‘On The Go’. 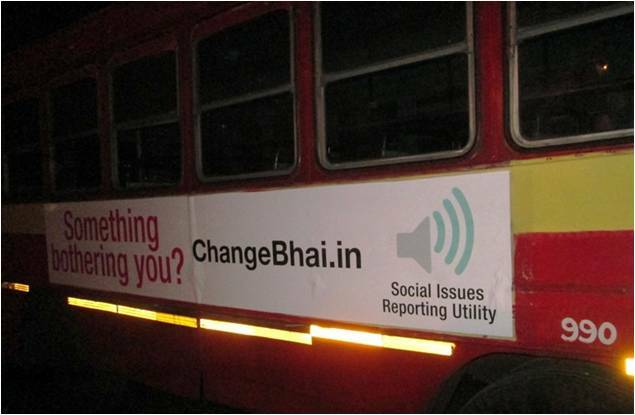 Kudos to our partner Adcraft Outdoor Media in helping us create awareness about ChangeBhai through outdoor advertising! We can’t thank you enough for your support in launching the bus campaign in Maharashtra. 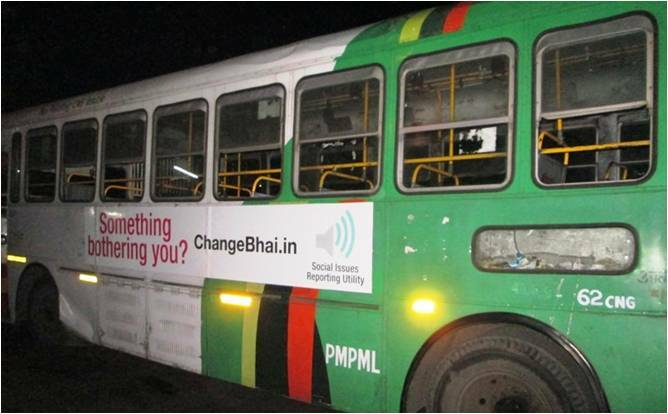 Psst…Do share pictures of these buses with ChangeBhai messages if you happen to spot them on the road or at signals. Email them to us at now_or_abhi@changebhai.in and win interesting ChangeBhai merchandise!